The number of hate crimes committed against Jews in Germany has increased by more than 10 percent, new official figures reveal. This includes recent violent assaults, which are mostly attributed to neo-Nazi groups. Amid a string of reported assaults on members of the Jewish community, the German left-wing parliamentary party Die Linke demanded police reveal the number of anti-Semitic crimes. According to the figures released, there were 401 offences between January and June this year, including 12 violent crimes. A majority (349) were at the hands of neo-Nazi and other far-right groups. One in five attacks took place in the German capital Berlin. 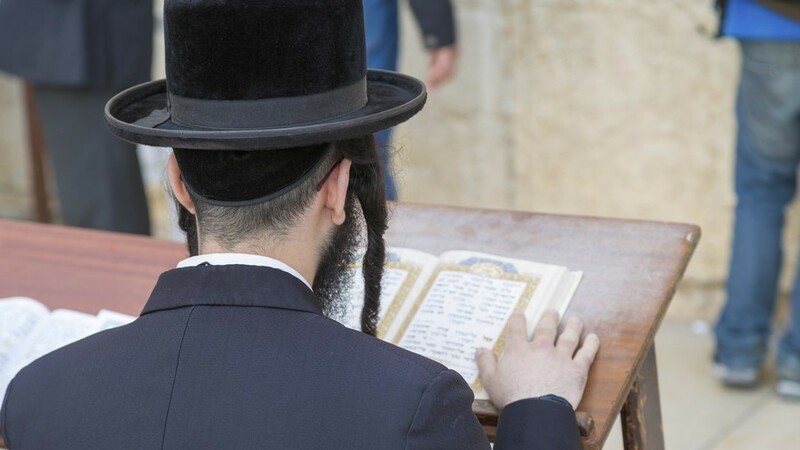 It comes amid a recent resurgence of anti-Semitism in the country, as reports emerged over the past few months of Jews being threatened, beaten and bullied because of their background. Exactly a month ago, a Jewish-Syrian youth was left with a head wound after being brutally beaten by a mob of 10 in a Berlin park. The man, 25, had tried to flee but collapsed from his injuries. The mob caught up with him and carried on punching and kicking him. In April, a Jewish man wearing a kippah was allegedly struck with a belt around 10 times by a Syrian 18-year-old. The latter denied the attack, which occurred in an affluent area of Berlin, was anti-Semitic. It prompted condemnation by German Chancellor Angela Merkel, who said: "The fight against such anti-Semitic acts must be won, the reputation of our state is at stake, and we are committed to it with all our strength." It also led the President of the Central Council of Jews in Germany to caution fellow Jews against wearing the traditional skull caps to fend off potential assaults. Yet, thousands of Berliners instead wore the kippahs in solidarity with the Jewish community on April 29, branded the "action day" against anti-Semitism. Particular concern has been raised about growing anti-Semitism in German schools as several reports of bullying emerged. In March, a father reported that his daughter was told she deserved to be beaten and killed when she admitted to a Muslim student she did not believe in Allah. Another student was allegedly bullied at a prestigious high school in Berlin in December. In one incident a classmate pressed an unlit cigarette on his face before telling the boy he should think about his ancestors who were gassed to death in the Holocaust. It has reportedly made Jewish teachers reluctant to reveal their identity amid concern they could become targets. "It took me a while until I had the self-confidence to tell people," 41-year old school teacher Michal Schwartze told the Washington Post. Schwartze initially worried about telling her students she was Jewish for fear they would think she would be biased when teaching them about historical events and outlining today's political affairs. But she then decided to show students her resolve to fight any form of discrimination. "I think it's important to take a position, and to be explicit about my stance," she said. Germany's American Jewish Committee (AJC) is now joining forces with the local government in Berlin to try and uncover the extent of anti-Semitic attitudes in school. The plan is bound to be extended to other local governments too. It follows a government announcement at the beginning of July that some 170 anti-bullying experts would be sent into schools after the summer break to tackle growing anti-Semitism. "Anti-Semitism in schools is a big problem," Families Minister Franziska Giffey said at the time.